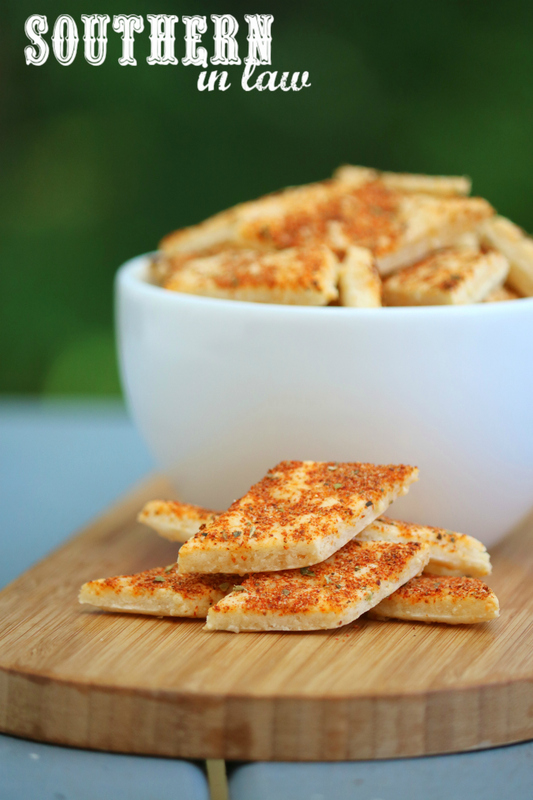 Arnott's Shapes are a bit of an Aussie icon. I mean, what other food causes national uproar when the manufacturer decides to change the recipe? Last year, Shapes decided they'd release "new and improved" Shapes and the whole nation was divided... well... except those that couldn't eat them. In the spirit of Australia Day, I decided I'd remake these savoury crackers and create a gluten free version (with a vegan option) so that everyone can enjoy them. 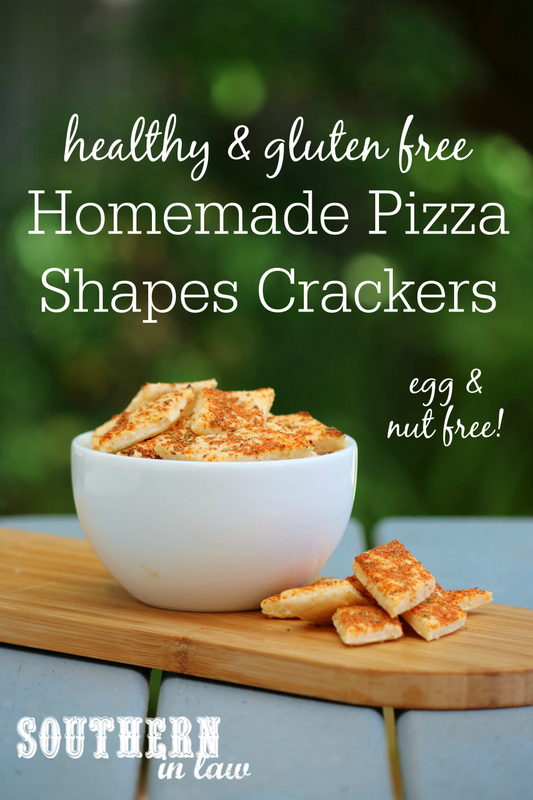 Perfect for snacking, these crackers have a pizza inspired topping that will see you struggling to stop at just a handful. 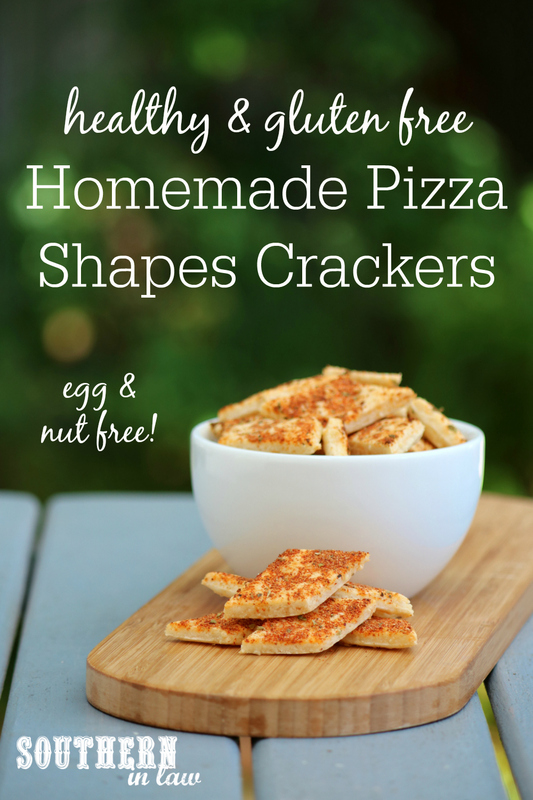 Whether you're serving them in a bowl at your next barbecue, popping them into lunchboxes or simply snacking at home, they're guaranteed to be a hit with the whole family. Lay two pieces of baking paper onto a chopping board or your bench top and set aside with a rolling pin to roll out your dough later on. In a food processor, process your flour and cheeses until your cheese is finely chopped and mix through the flour. Combine your garlic powder, onion powder, paprika, oregano, basil, parsley, salt and sumac in a small bowl and set aside. With your food processor running on low, gradually add your 1/4 cup of your water. Once you've added your water, turn the speed up on the food processor and gradually add your remaining water, adding just as much as needed to clump the mix together and form a dough. Take your cracker dough out of your food processor and place onto your baking paper. Knead the dough together to form a ball and divide it in half. Roll out one half of your dough ball between two pieces of baking paper, rolling out the dough until it's about 1/2 cm thick. 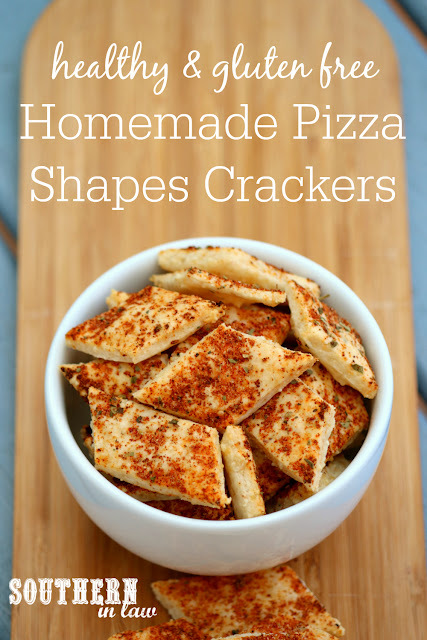 If you want really crunchy crackers, you'll want to roll the dough quite thin. Move your first lot of dough off to the side and repeat with the remaining half - rolling out the dough between two pieces of baking paper. Once your dough is rolled, take the top pieces of baking paper off your dough and spread half of the topping mixture onto the top of each piece. Press the topping into the top of your dough with your finger tips - or simply place your piece of baking paper back over the top and push the topping into the top by rolling over the dough with your rolling pin. Once you've added your topping, cut your dough into pieces with a sharp knife. Place pieces of dough onto your prepared baking sheet - leaving about 1/2 a centimetre between each piece. Bake for 10-12 minutes or until crunchy and lightly golden. Baking times will vary depending on the thickness of your dough so keep an eye on them. Allow your crackers to cool completely before storing in an airtight container. These crackers will keep for 2-3 days, stored in an airtight container at room temperature. Notes: Sumac is my secret ingredient here as it adds a tomato-like tang without the need for using tomatoes. You could switch this out for tomato powder/instant tomato paste if you can eat tomatoes/find dried tomato powder but we LOVE this version. But tell me, what's your favourite kind of chip/cracker? And what's your go to store bought snack? I actually don't like chips (and never have) but I LOVE crackers.